After he had washed their feet, had put on his robe, and had returned to the table, he said to them, ‘Do you know what I have done to you?You call me Teacher and Lord—and you are right, for that is what I am.So if I, your Lord and Teacher, have washed your feet, you also ought to wash one another’s feet. For I have set you an example, that you also should do as I have done to you. Very truly, I tell you, servants are not greater than their master, nor are messengers greater than the one who sent them. If you know these things, you are blessed if you do them. 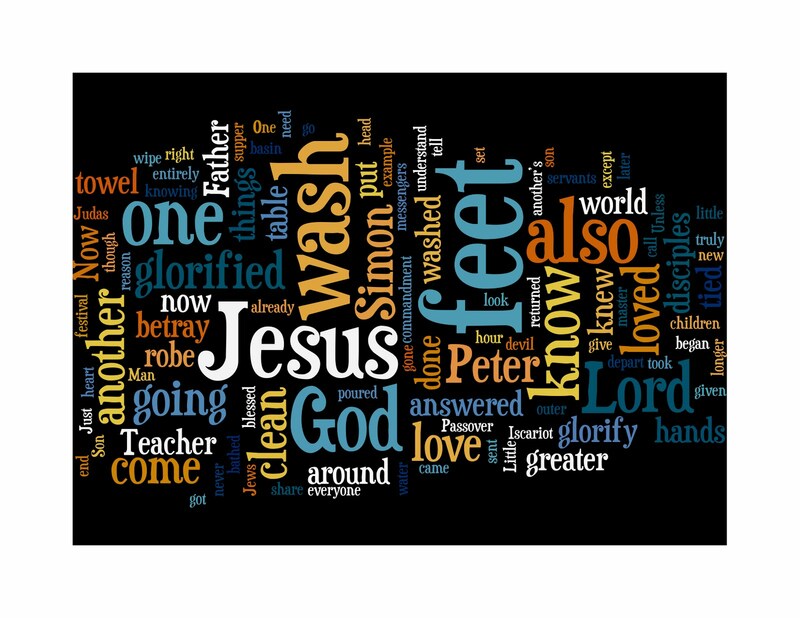 Above is the reading set for Maundy Thursday and a Wordle of it too. 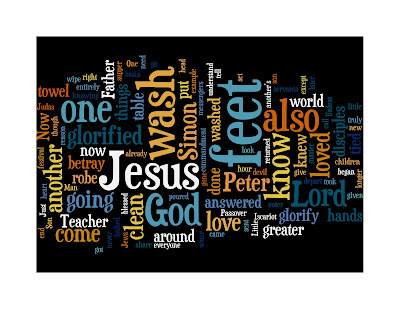 Stand out words from the wordle are: wash, Jesus, God, one, also, know, Lord and especially feet. Our feet are ususally covered these days by shoes and socks. There is still culturally a stigma about our feet. We don't like people touching them and in certain cultures to show the soles of them is the height of rudeness. Yet Jesus the servant Lord is the one who knows this and still washes them also because God made them.